Think the Rebel Girls are cool? 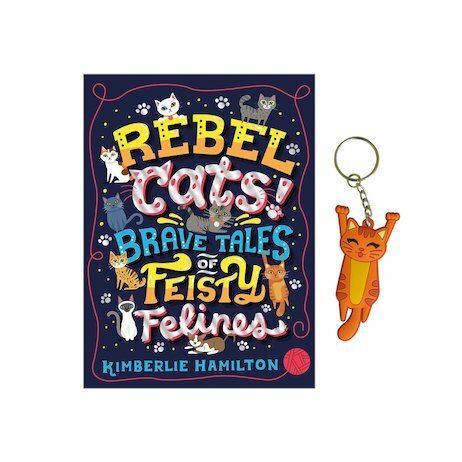 Meet more purrfect rebels! Cats do what they like. They bow to no one. They have nine lives – and live them all to the full. Who wouldn’t be a cat? Now this inspiring book brings you even more reasons to worship those feisty felines. Sheer cattitude on every page! What’s not to like? It’s got profiles of 30 real-life cats who are the masters of their own stories, including wartime heroes, a Guinness World Record holder and even an astrocat who travelled to space and back! There are fur-raising myths and tips, plus gorgeous artwork by no less than 15 illustrators. Purrfectly essential reading for every cat-lover! A purrfect gift, bursting with character and cattitude! Love it with all my heart my boy cat Bella will love it!